The main problem is Handling streams of data—especially “live” data whose volume is not predetermined—requires special care in an asynchronous system. 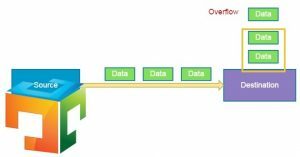 The most prominent issue is that resource consumption needs to be controlled such that a fast data source does not overwhelm the stream destination. Java 9 comes with one handy feature called Flow API or reactive API. It has four basic components as below. 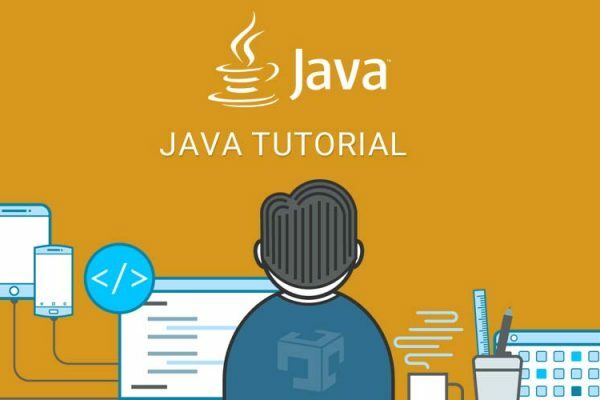 Java 9 provide java.util.concurrent.Flow class whichprovidese reactive stream publish subscribe framework. It contains Interrelated interfaces and static methods for establishing flow-controlled components as below. Now let’s discuss each components in brief. The publisher publishes the stream of data items to the registered subscribers. It publishes items to the subscriber asynchronously, normally using an Executor. Each Subscribes receives the same items in the same order,unless drops or errors are encountered. Publishers ensure that subscriber method invocations for each subscription are strictly ordered. Subscriber is a receiver of messages. Data items are not pushed to the Subscriber unless requested, but multiple items may be requested. Subscriber method invocations for a given Subscription are strictly ordered. Message control linking a Flow.Publisher and Flow.Subscriber. Subscribers receive items only when requested, and may cancel at any time. The processor sits between the Publisher and Subscriber, and transforms one stream to another. There could be one or more processor chained together, and the result of the final processor in the chain, is processed by the Subscriber. 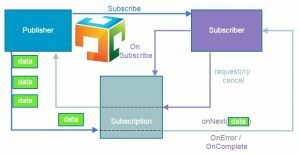 Publisher uses its subscribe() method with Subscriber object as input parameter. That Subscriber now subscribes the Publisher. Publisher defines its own Subscription implementation and produces data elements for that Subscription. When a Subscriber subscribes a Publisher, onSubscribe() method is invoked. Then Subscriber now can use Subscription to link to the Publisher by request(numberItems) or cancel() method. onNext() if publishing items to the Subscriber asynchronously, normally using an Executor. onError() if there is a failure. Refer Reactive Prgramming , JEP-266 and Flow for more details.